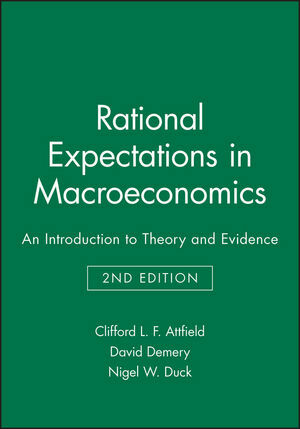 Like the successful and widely-adopted first edition, this second edition is designed to explain the concept of rational expectations and its implications for macroeconomics. Clifford Attfield is Reader in Econometrics at University of Bristol. David Demery is Senior Lecturer. Nigel Duck is Reader in Economics at the University of Bristol. * This key book has been thoroughly updated to include the most recent scholarship. * It is perhaps the only book filling the gap between standard macroeconomic texts and the literature in academic journals.